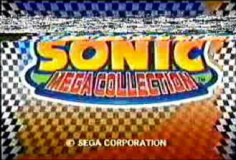 Sonic Mega Collection had gone through several changes over its development process. The following details several of these things. A prototype of the game was released by drx. Info on it can be found here. Some differences found in the early video described below can be found on it. 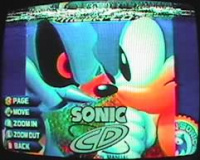 An early video showing off a prototype title screen, menus, and Sonic CD can be found here. Images from the video can also be found below. 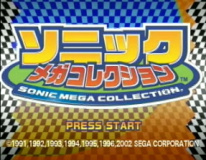 Simply posts '(C) SEGA CORPORATION' on the bottom. 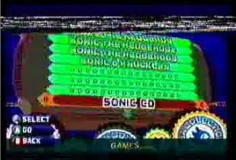 This particular title screen was found in a preview video which also plays Sonic - You Can Do Anything instrumental on this screen. The background colors are different. No film strip on top, or liscensed by Nintendo on bottom. Taken from early video. The background colors are different. 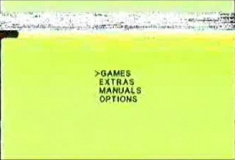 No film strip on top, white band around the "Press Start" text, or licensed by Nintendo on bottom. Beta menu screen. Very basic. 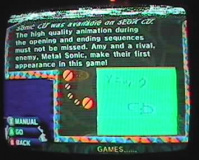 Sonic CD shown in game listings. 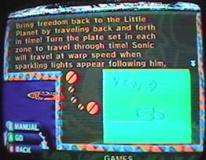 Sonic CD EU instruction manual.